Wait A Minute. 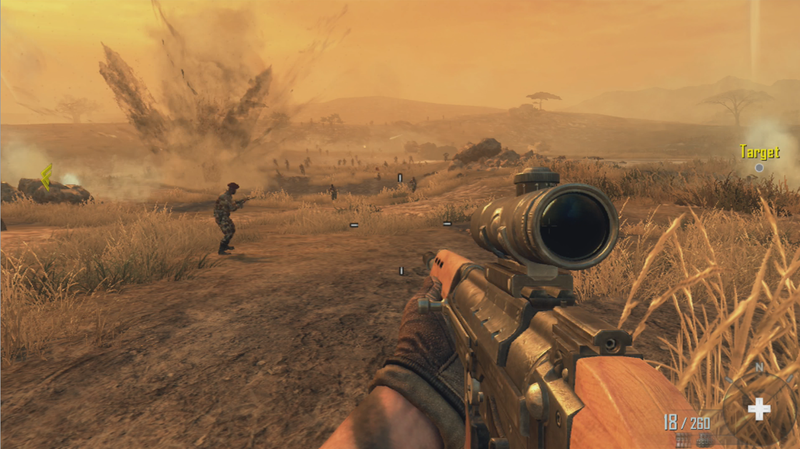 Two Smart Critics Really Like The Wii U's Allegedly Inferior Black Ops II. Once could be an aberration. Twice? We're approaching a trend, people. Two sharp critics have both spent some time this week saying that Call of Duty: Black Ops II is good. Better than that, one of these chaps suggests that Black Ops II might be, PC notwithstanding, best on Wii U. Black Ops II is a faithful port of the Xbox 360/PS3/PC version of the game, but the knocks on it are that a) it's technologically a wee bit inferior to those other versions and b) not many people are playing it online. Fans of the series have likely already purchased Black Ops 2 before the Wii U was released, however, and the amount of players online is shockingly low. As of this writing (which is admittedly 2 p.m. on a Tuesday) there are under 350 players on the servers. The really good news is that most of them have been pretty easy to kill so far. This isn't split-screen, it's something much better. Once both players get their own screen the game becomes much more enjoyable, and since both of you don't have to stare at the television you can stretch out and relax. It's an easy-going, very social way to play multiplayer games of Black Ops 2, and teaming up with a buddy in the same room allows you to mop up other players in multiplayer pretty efficiently. This is sounding good, right? Kuchera dives deeper into some performance issues and some other perks. He's seeing pros and cons. But then we've got Jim Sterling over at Destructoid. His piece is called: Black Ops II Wii U: the preferred console experience? I may now consider the Wii U my go-to console for future FPS games ... that I'm not playing on PC. the GamePad is shockingly enjoyable to use for first-person shooting. The control scheme is at first a little confusing, since the face buttons have all been mapped to commands different from the Xbox 360 controller. Once that hump's been gotten over, however, I have to say I don't think I've enjoyed a console FPS this much in a long time. The large surface area of the Pad makes long-running online sessions comfortable, while the analog stick and trigger placement is almost perfect for the genre. After my initial fears of the GamePad's viability, I am more than pleased. Were you thinking that Black Ops II's Wii U servers were half-empty? Nay. These guys might argue that they are half-full. They're making a good case. If there are fewer players online, there are fewer jerks. There are fewer people who are playing so obsessively that you can't compete with them. The mortal gamer has a shot on a low-population Black Ops II Wii U server. They have a chance to actually get good at this game. Maybe this should be the version for me, too.